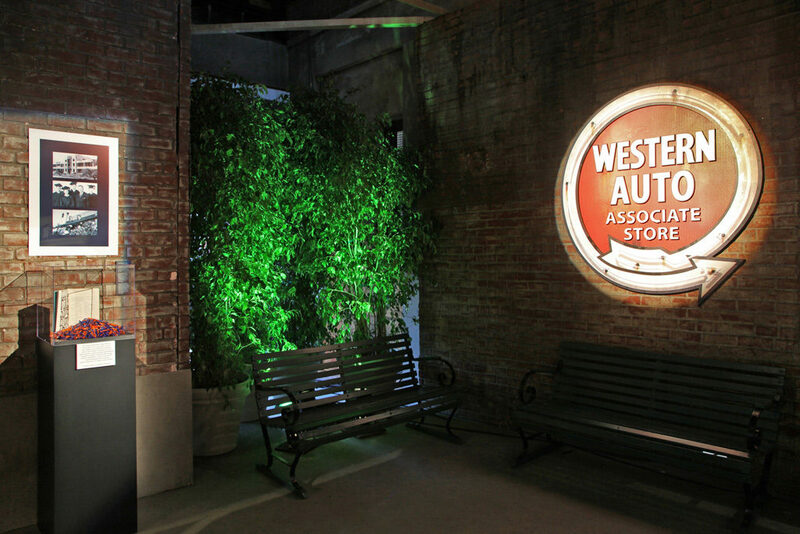 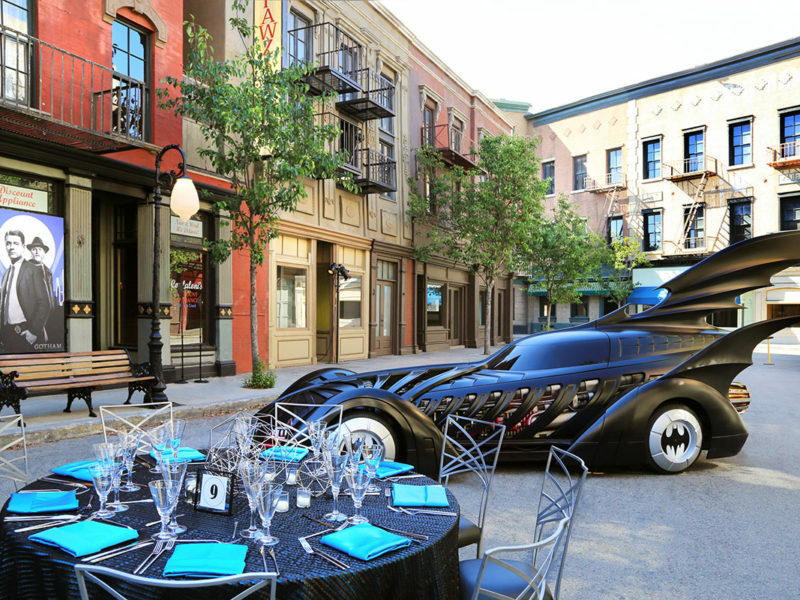 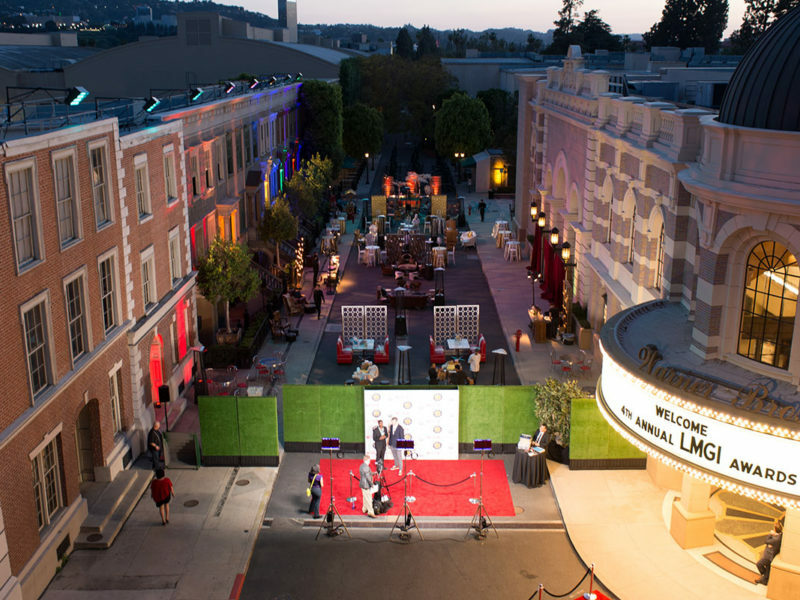 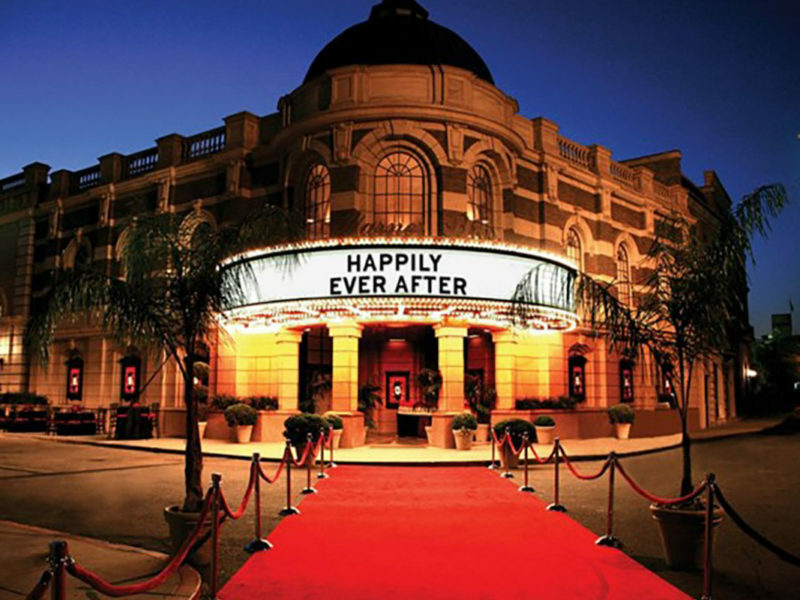 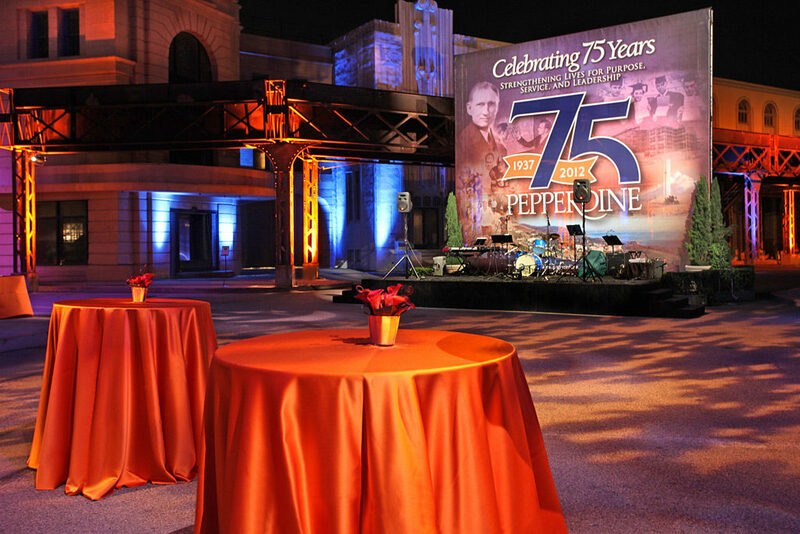 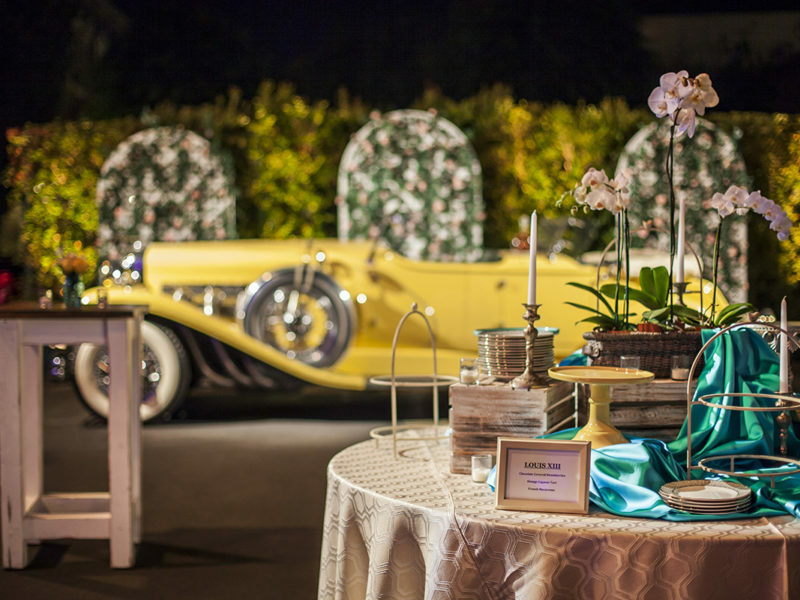 Pepperdine University hosted its 75th Anniversary at Warner Bros. Studios where 250 VIP’s arrived to a red carpet reception at the Warner Bros. Museum, while another 700 guests were entering from the studios ER set. 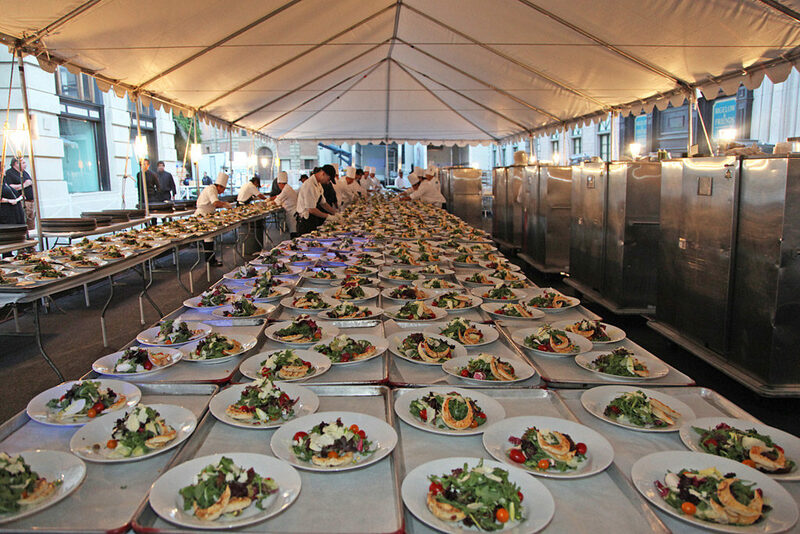 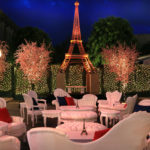 A beautiful dinner was served as guests were seated at the 88 dining tables winding down along the middle of New York Street. 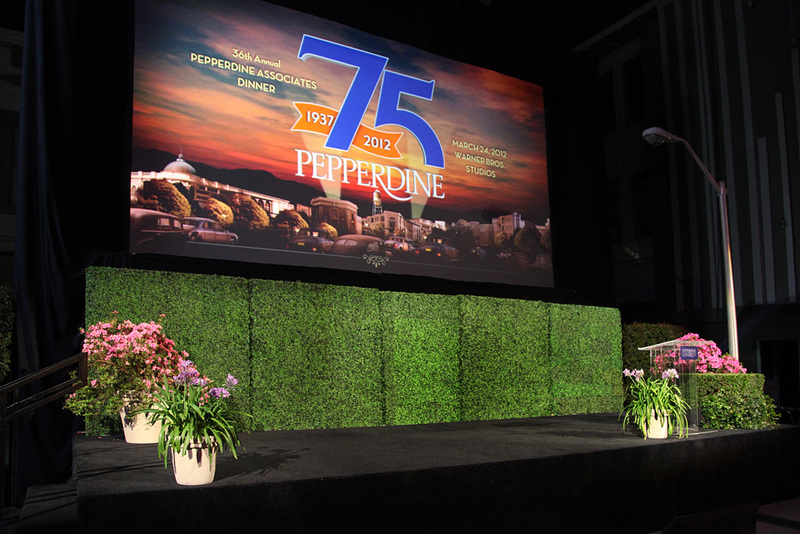 The main stage was designed with a green hedge reminiscent of the rolling hills which surround the Pepperdine campus. 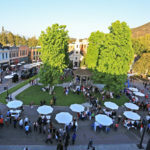 After the dinner program, guests were invited to stroll the “Pepperdine Museum” filled with artifacts from the schools alumni. 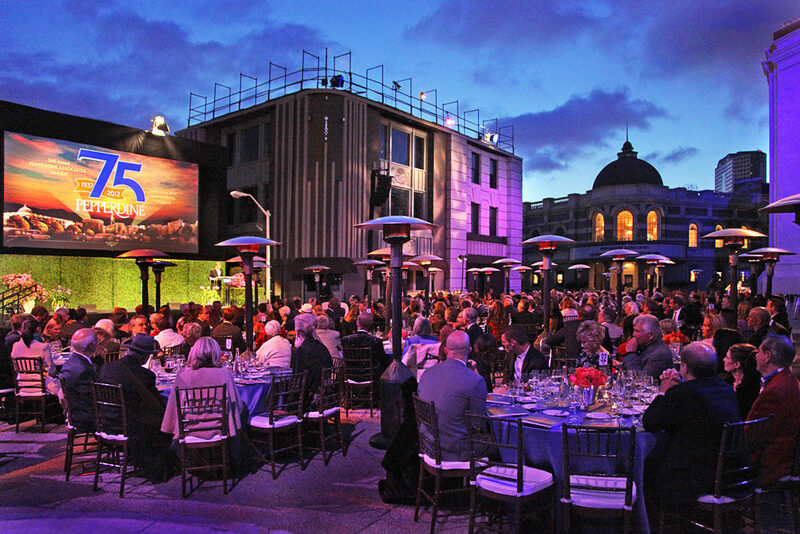 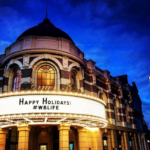 A jazz band brought it all home ending a memorable night for this L.A. institution.